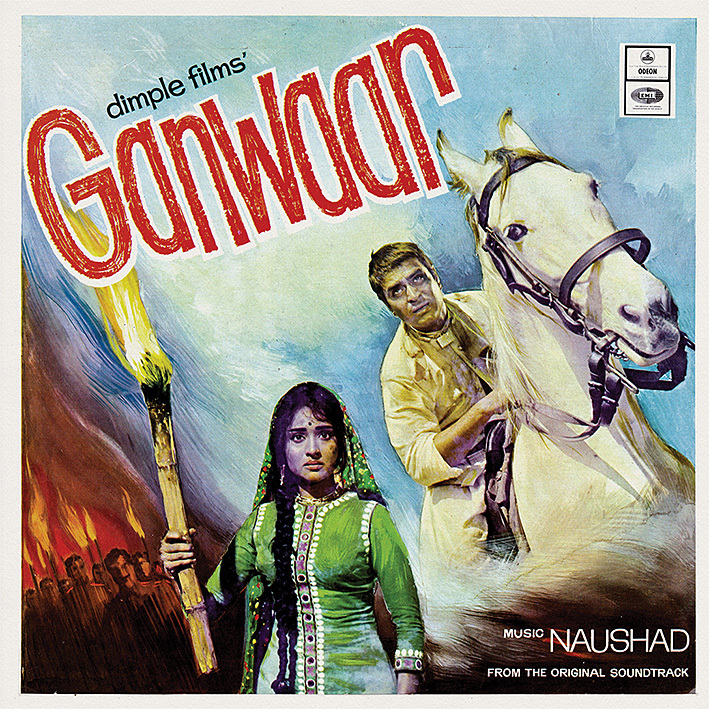 From what I gather, there are Naushad enthusiasts who really dislike 'Ganwaar'. Pandering to popular tastes or something like that. And to be fair, side one of this soundtrack doesn't sound like him at all. 'Pee Kar Sharab Khelunga' comes with an exotic sounding intro to what appears to be an atmospheric ballad, but before long the songs transforms into a peppy, poppy rock 'n' roll number. 'Tumhara Naam Kya Hai' has a similarly chirpy vibe and the lovely 'Main Hun Ganwaar', while a tad more subdued, maintains the decidedly Western feel that characterize these songs. Mohd. Rafi features on all, and you could easily be forgiven for thinking this was a Shankar Jaikishan or Kalyanji Anandji score you were listening to. The second half sounds a bit more traditional, but no less lively. Asha Bhosle joins Rafi on the playful 'Hum We To Achhi Teri Payal' and the loud and relentless 'Tera Chikna Roop Hai'; both are great. So purists may need to have me excused; I find this a highly enjoyable album. When I was a kid, with my girlfriend in high school, two absolutely nauseating teenagers who couldn't keep their hands off each other, we started out on this world tour together, and the poster for this film reminds me of every village we went to, and how we were greeted by the locals. Fab score... great recording.. at par with Naushad's Saathi.